Playing Beowulf – a workshop as part of the UCL Festival of Culture, run by Bruno de Paula, Abel Drew, Theo Bryer and Jane Coles, and organised by Vicky Symons. We’ve seen books and comics turned into films and plays, and vice versa, but what about a poem becoming a video game? The ‘Playing Beowulf’ project combines Old English poetry with video game authoring software. Try your own hand at bringing Beowulf to life through performance, play and game design. Although literary treasures may be centuries old, the project demonstrates how creating a game-like environment can bring spaces such as museums and libraries to life with the stories that they hold. 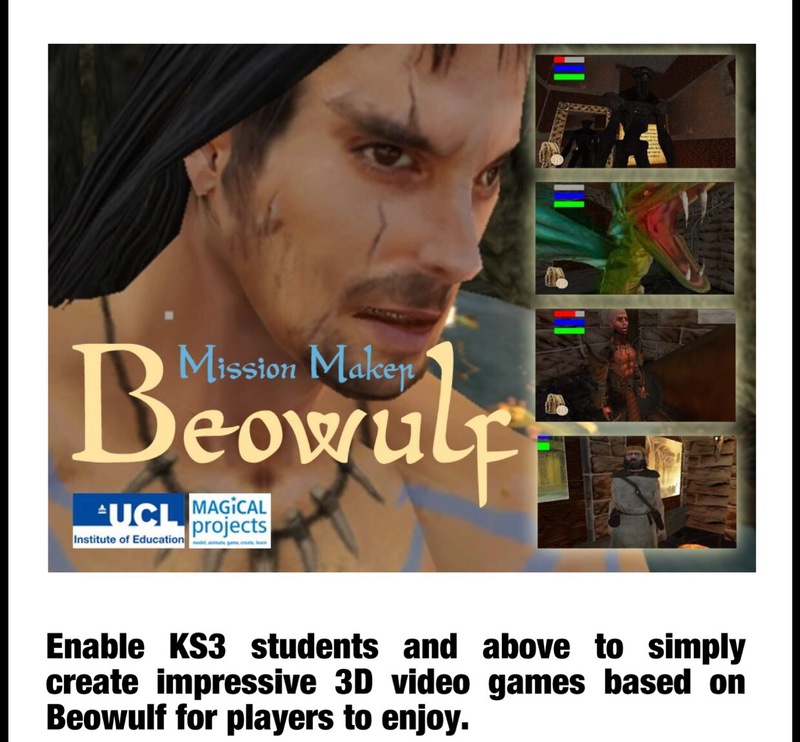 Playing Beowulf is a collaboration between UCL’s Department of English and Institute of Education, partnering with the British Library, the University of Sydney and Game City. The project is funded by the UK Arts and Humanities Research Council. The software, Missionmaker Beowulf, was developed during the project by MAGiCAL Projects and the DARE research centre.